Attitude is that small word with a big impact! 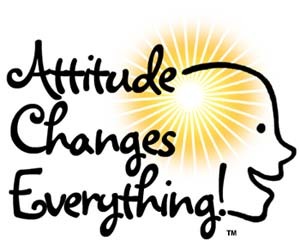 The kind which they say can make you or break you … in short it’s just all about Attitude! Remember when we were young and we would say, someone has ATT – simply meaning that they have an ego big enough to fill two rooms. Alternative words used were, feeling sweet, maringo, snob and someone will be totally disliked just by virtue of having an attitude. It was a big deal then, and I think it still is now. If you have a negative attitude people will talk behind your back, they’ll ignore you, they will not involve you in stuff and so on. Although some people who are actually nice can be mistaken to be having an attitude based on things like facial expression, character traits (introverts) … Like have you ever met those guys with a naturally sneery face, or they are just loners and don’t interact much with others … yah that kind. I’m not one to judge people ok who I’m I lying to, we all judge people (that’s what I think, but that’s a story for another day). At least to measure how much of you, you should expose to them to. *There’s no gutter, so don’t let your mind wander there :p* . You know this world is tiny and everyday you make new friends, rekindle lost friendships and stuff like that and what makes me know whether our relationship will head anywhere the first time I see you is their attitude! 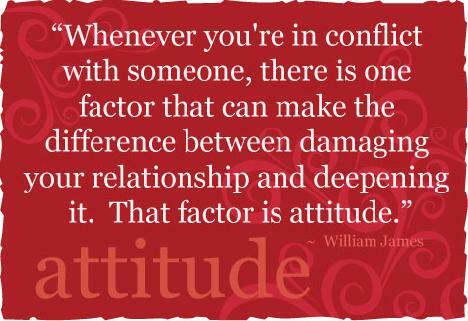 I have formulated my own attitude theory *wink* : 3R – React, Relate, Respond! This is generally based on first impressions. Most of the friends I have, chances are that I got along with them from the time we met and if not, they really have to prove themselves not necessarily directly, like I will have to hang around them more to actually alter my judgement. How you react when I meet you, actually even before I say hello. I know this is weird but you can sense interest or disinterest from how someone approaches you. If you have a stern face and still hold it up even after you’ve said hi, you enter under my category of “serious people”, which is not such a good one, if you are jolly and hilarious when I meet you then it gets easy peasy and everything flows. How you relate with the people you’re with. Very important stuff like if you put people off when they say or ask something, or if you give others opportunities to air their views. And how you respond to them, your tone, expressions. Did you know how someone treats other people besides yourself will actually tell you what kind of person they are? … So if they are mean to the waiters or subordinates, be sure someday they’ll probably be mean to you as well. It’s in how you say it and how you do it. As much as we say instincts are the ones which give us that gut feeling that a certain person is like this and like that, I think it always lies in the attitude of the person. Somehow, it’s attitude that gets you where you want to be. It’s like your weapon in a fight, considering that in this world we have to fight for nearly everything … not literally though. Just by virtue of being a human, you should be armed with positive attitude … It looks good on you and makes the fight much more fun and worth the while because at the end of the day whether things go your way or not, deep inside you know you put up a good fight.